You are here: Home > Uncategorized > Show your support with FLOWER POWER! Throughout the month of June, our Grayling Big Boy Restaurant will be “Growing Support for Our Community” to benefit Crawford County United Way. Enjoy a great meal or one of their yummy desserts and donate $1 or more to the campaign. 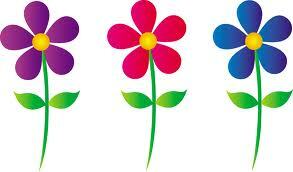 You’ll get to pick one of five brightly colored daisies to display in the restaurant to show your support. Don’t forget to put your name on it or honor a loved one by writing their name on the daisy. We hope to raise money and awareness with this campaign. In the 2012 campaign, Crawford County United Way will help fund the missions of 11 local human service agencies to help them meet their goals. Agencies include: AuSable Free Clinic, American Red Cross, AuSable Valley Youth Services Bureau, G.R.A.C.E. Center, River House Inc., ROOC Inc., Grayling Co-Operative Preschool, Crawford County Community Christian Help Center, Mercy Medicine Program, Crawford/Roscommon Child Protection Council and Crawford County MSU-Extension. “Growing Support for Our Community” is another way to LIVE UNITED! Thank you to our great friends at Grayling Big Boy for all their support and to their hungry and generous customers!